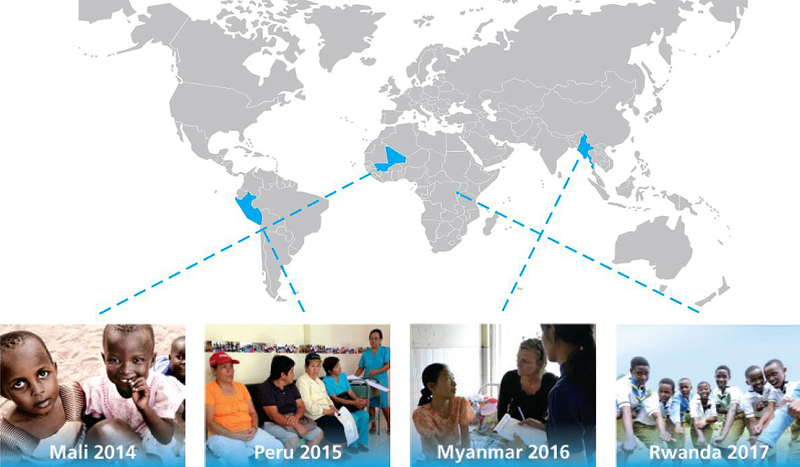 Since 2003, WDF donors have supported 27 life-changing projects in 23 countries. Objective: To improve prevention and awareness of type 2 diabetes in 14 districts, and improve self-care and well-being of children and youth with type 1 diabetes. Objective: To train health care professionals, screen patients and improve awareness related to diabetic foot care services in Yangon and Mandalay. Status: Off to a strong start, with three new clinics now operating at key university hospitals. Objective: To raise awareness in Peru about diabetes and its prevention; improve diabetes care in Peru; and prevent and treat foot complications. Status: Basic Units for Diabetes Care launched in June 2015 and is now rolled out across Piura and Lima, where it continues to surpass its goals for training, screening, counselling and treatment. Objective: To improve healthcare and quality of life for Malian children with type 1 diabetes. Status: A children's diabetes clinic opened in 2015. Camps were held for young people with diabetes in 2016.